The ongoing attempts to revive and update Stoicism for the 21st century go under a number of names, usually along the lines of “Modern Stoicism” or “Stoicism Today.” But people don’t use the obvious term: neo-Stoicism. There is a reason for that. “Neo-Stoicism” actually describes an earlier project for the revisitation of Stoicism, mostly associated with Justus Lipsius, who in 1584 published a book entitled De Constantia (“On Constancy”), which tackled the issue of how to reconcile Stoic philosophy with Christianity, and which ended up influencing a number of other important figures, including most famously Michel de Montaigne. The Internet Encyclopedia of Philosophy has an excellent article about neo-Stoicism, penned by John Sellars (there is also a separate entry on Lipsius, also by Sellars). I will discuss here some of the highlights from that entry. The IEP article is interesting because it points out that a reconciliation between Stoicism and Christianity had been attempted pretty much from the beginning of Christianity itself. For instance, both Augustine and Tertullian were sympathetic to the ancient Greco-Roman philosophy, although they certainly stopped short of endorsing it. It is also well known that Epictetus’ Enchiridion was adapted for use in monasteries (where references to Socrates were changed to Paul…), and Seneca’s Letters enjoyed wide circulation during the Middle Ages. Indeed, Augustine and Jerome accepted as genuine the existence of a correspondence between Seneca and Paul, which unfortunately was apparently forged. Both Peter Abelard and John of Salisbury were influenced by Stoic ideas as well. While prominent Christians were willing to grant a significant value to Stoic ethics, Stoic physics was another story: Sellars tells us that when David of Dinant tried to revive it, the episode ended up with the burning of his books due to the charge of heresy (pantheism, to be specific). Dinant’s books are known to us only through the hostile treatment they received by Albert the Great and Aquinas. When we get to the Renaissance, even before Lipsius there was renewed interest in Stoicism, for instance by figures like Petrarch and Politian. 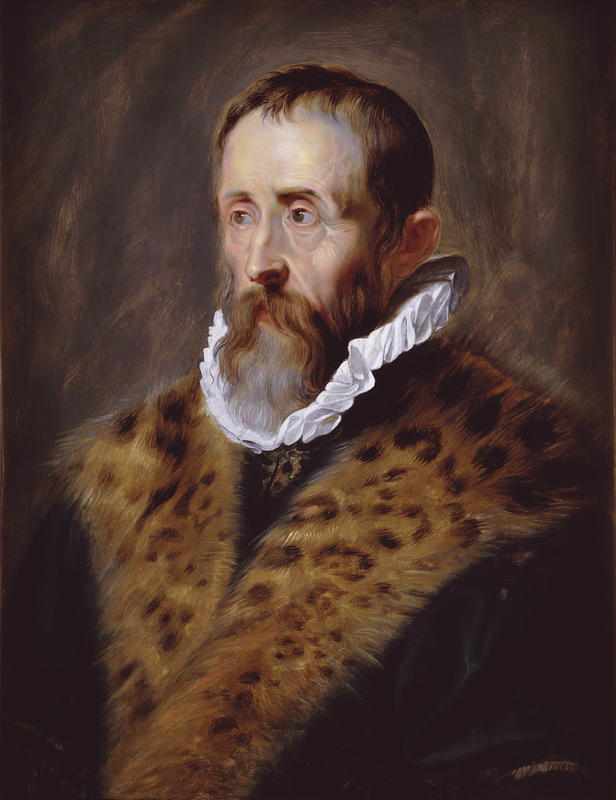 But it is Lipsius’ De Constantia that really marks a purposeful effort in the Stoic direction. According to Lipsius, when Christians find themselves going through hard times they can draw inspiration from Stoic ethics, although he also immediately makes it clear that ancient wisdom needs to be coupled with Christian holy scriptures in order to succeed. Another controversial issue was represented by the above mentioned Stoic concept of apatheia: according to the Stoics this ideal state of detachment and tranquillity can be achieved by a Sage via rational analysis of one’s judgments, while Augustine claimed that it also requires the grace of God. Even Pascal, much later, criticized the neo-Stoics for their reliance on reason over faith, which makes perfect sense from a Christian perspective. Lipsius wasn’t the only neo-Stoic, and the IEP entry goes on to give brief mention to Michel de Montaigne (1533-1592), Pierre Charron (1541-1603), Guillaume Du Vair (1556-1621), and Francisco de Quevedo (1580-1645). Sellars concludes on a somewhat negative note, remarking: “Although Stoicism may be characterized as a pantheist philosophy, it is also a materialist and determinist philosophy. The orthodox Christian can never, at the same time, be a Stoic.” That may be true of the “orthodox” Christian (whatever that may be, nowadays), but the sustained interest in Stoicism by some of the most important Christian figures, throughout pretty much the entire history of Christianity, certainly attests to some degree of compatibility. And these days I’m much more interested in emphasizing commonalities rather then differences among philosophies of life. I think that’s the best way forward for humanity. This entry was posted in History & Biographies, Other philosophies, Religion on October 8, 2015 by Massimo. Thanks for this illuminating discussion. If only we could disagree and respect the other at the same time! Have I give you the impression that I do not respect your positions, while disagreeing with them? If so, my apologies. Thanks for asking! When I stated, “If only we could disagree and respect the other at the same time!” I was not at all suggesting that you had been disrespectful! In fact, you have done a good job in not demonizing the other person. Instead, I was acknowledging your point. Since critiquing the other person is so fraught with difficulties, it might be better to start by acknowledging our commonalities. I’m puzzled by Justus Lipsius’s citation “that there is no contingency” as a doctrine of Stoicism. I can only assume that the Stoic definition of “contingency” differs from that given by Bing: “a future event or circumstance that is possible but cannot be predicted with certainty.” Could you give me a reference to the Stoic stance on this topic? Massimo, I was surprised to learn recently that the Serenity Prayer, which at first blush seems as good a demonstration of common Stoic-Christian grounds as one is likely to find, is (at least in its popular coinage) a modern invention of American theologian Reinhold Niebuhr. Still, that a basically Stoic idea (most famously expressed by Epictetus) can be framed in Christian terms does not surprise me. I suppose that Sellars is thinking more broadly in his negative conclusion – that is, he factors metaphysics, not just ethics, into his overall comparison. But then, if we take such a maximalist approach, then Stoicism is also incompatible with a modern-scientific/secular-humanist worldview, which seems to place both religious and secular explorers of (ancient, Greco-Roman) Stoicism in more or less the same boat. Would you agree? I am also puzzled by the characterization of Stoicism as deterministic. Given that choice is perhaps Stoicism’s most defining element, it seems very weird to say such a thing. Fate plays a big role, but at most, in modern terms it seems like the Stoics were compatibilists. After reading his essay, I found the article he mentions (by Dorothea Frede) and I can recommend it highly as a good, clear foundational introduction to the complexities of Stoic deterministic theory. A post about Stoicism and Christianity and no love for Boethius? Actually I’ve always wanted to ask you, Massimo, if you read Boethius and what you think of him. If nothing else the Consolations of Philosophy is wonderful as literature. Also Seneca’s letters to Paul are hillariously obvious forgeries. They’re collected in Bart Ehrman’s collection of Lost Scriptures. Thank you for the link to Sellar’s article. For those of us who claim a lineage and fidelity (of sorts) with Hellenistic Philosophy, Montaigne is an interesting character to come to terms with. Stoics, Epicureans, and Skeptics have legitimate aspects to point to, in seeing him as an exemplar. My current ‘way of life’ has Montaigne second only to Seneca. Epictetus/Marcus Aurelius is for a more trying time. Chapter 6 and 7 of Sarah Bakewell’s “How to Live or A Life of Montaigne: In One Question and Twenty Attempts at an Answer” is a great introduction on the Three Schools influence (and lack thereof) on Montaigne. as vienna has already done: https://howtobeastoic.wordpress.com/2015/06/22/stoic-determinism/ and the chapter cited therein from the Cambridge Companion, which has additional references, of course. I think that’s the idea, and it seems grounded in the obvious degree of uneasiness that Christian theologians have historically had with Stoicism. Not necessarily. There is textual evidence that the Stoics (e.g., Marcus) were open to different, non-providential, views of the cosmos. And at any rate, many modern Stoics do not follow that aspect of Stoic metaphysics, precisely because it is incompatible with modern science. And, again, there is textual evidence (e.g., Seneca) that the Stoics themselves would have done so. Right, but compatibilists do accept determinism. Absolutely, and yes I’ve read it. But Boethius was an Academic/Platonist, not a Stoic. If stoicism rejects God and the Transcendent, then it is left with materialism – matter and energy where everything is determined by the laws of science. This leaves little room for freewill choice. Massimo: Just to be clear: Even if Stoic metaphysics is too pantheistic or deterministic for orthodox Christian tastes, I expect that many Christians would nonetheless appreciate its teleology…that is, the very same thing that secular/science-minded folks (including some modern Stoics) would see as begging for revision. In other words, there appears to me to be something in Stoic metaphysics for Christians to like and for secularists to dislike, and vice versa, which by no means rules out revision (even on ancient Stoic terms)…but revision requires work, and I expect both camps to do that work on their own terms. In that sense (and really only in that sense, as I’m skeptical of metaphysics generally, but especially so of the more extravagant doctrines taught by religious organizations), both camps appear to me to be on equal footing. right, both Christians and seculars would have to do some adjustments / updates / compromise if they want to embrace Stoicism. To me this isn’t a bug, as they say, it’s a feature. For instance, a Christian can interpret the Logos in an even more “providential” fashion than most ancient Stoics, as God itself. But a secular could simply think of the Logos as the idea that the universe is understandable by rational means.